Optimizing the heat exchange and pressure drop in rectangular heat exchanger channels, using Dantec Dynamics’ time resolved PIV solution. Apex Group has a strong R&D department who optimizes the products in terms of efficiency and reduced power consumption, by reducing the pressure drop in the system. 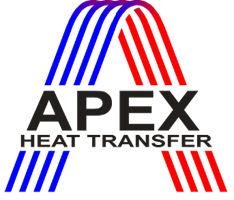 Heat exchanger design has always been a trade-off between having a turbulent flow for a proper heat exchange on one hand, and a low pressure drop for reducing the power consumption on the other. Time resolved PIV studies help the researchers understand the transitional process from laminar to turbulent flow in rectangular channels. This work has a pioneering character as most available literature covers circular pipes.